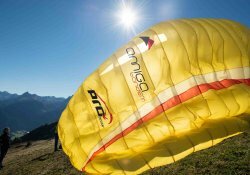 How does a tandem paragliding flight work? 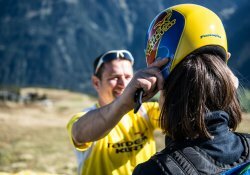 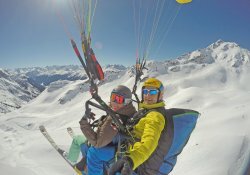 What are the requirements for tandem paragliding? 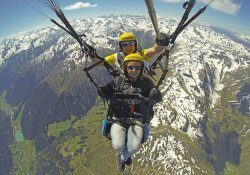 Can children also participate in a tandem paragliding flight? 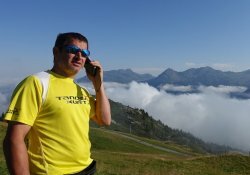 Who or what is "Tandem Kurt"?